Plans by the Norwegian government to mandate usage of much more biofuel, as another so-called “green” measure that helped secure last year’s state budget compromise, may end up backfiring as little more than a budget bluff. New statistics suggest that more production and consumption of biofuel may actually raise carbon emissions instead of lowering them, and at another huge cost to motorists. Newspapers Aftenposten, Bergens Tidende, Adressa, Stavanger Aftenblad and Fædrelandsvennen jointly asked Norway’s state statistics bureau SSB (Statistics Norway) to calculate the actual climate effects of the last compromise on the state budget. After quarreling for months, the Conservatives and the Progress Party finally reached agreement on the budget with their government coalition’s support parties, the Liberals and Christian Democrats. The key to the compromise, reported Aftenposten and the other newspapers on Wednesday, was a demand that 512 million liters of biofuel must annually be blended into all gasoline and diesel fuel sold in Norway by 2020. That means that 20 percent of all fuel used in vehicles driving on Norwegian roads will be biofuel, made from plants and, in Norway, refuse and byproducts from the country’s forestry industry. The newspapers reported that the head of the Norwegian forest owners’ federation (Norges Skogeierforbund), Erik Lahnstein of the rural-oriented Center Party, and his members had been lobbying hard last fall for a government mandate for more biofuel use. They stand to earn large amounts of money in the future if Norwegian forestry products are used to produce biofuel. Since biofuel is far more expensive than gasoline (petrol) or diesel, however, it’s the car owners and transport firms like trucking companies that will bear the costs. The government predicted itself that biofuel prices will be as much as NOK 4-7 more per liter than fossil diesel, amounting to a total of NOK 3.2 billion per year that will need to be shared by private car owners and the transport industry. Critics are starting to sound off over the biofuel plans that sailed through Parliament in December and resulted in what some are calling a costly “fuel revolution” that occurred with virtually no debate and without any thorough evaluation of the consequences. He’s far from the only skeptic who’s been busy examining the measure since it was approved. The main problem with biofuel, according to EU officials who’ve been arguing over biofuel as well, is that its production can thin the forests and drain the marshes that otherwise can capture and store carbon emissions. Cutting trees down for biofuel can, estimate experts, actually result in more emissions, not less. SSB calculated that given the quantities of biofuel that the government wants to produce and use by 2020, Norway would register a rise in carbon emissions of 90,000 tons, equivalent to 29,000 more cars on the road. 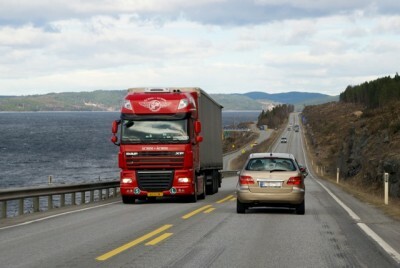 Motorists, moreover, would be forced to finance the production and consumption of biofuel, at a time when they’re already being hit by higher fuel taxes, higher road tolls and probably even a new tax on vehicles themselves in Oslo, as officials try to discourage driving as best they can. The government, meanwhile, claims the use of “advanced biofuel” in Norway based on the twigs, scraps and other refuse of forest industry activity, would be positive for the climate accounts. 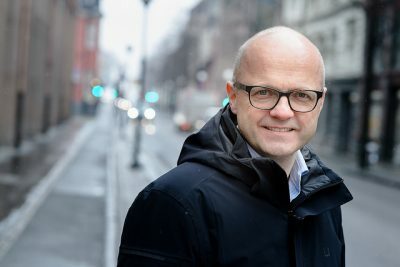 Vidar Helgesen, the government minister in charge of climate and environmental issues for the Conservatives, believes it’s most important if biofuel can reduce carbon emissions globally. Helgesen stressed that the consequences of using so much proposed biofuel will now go out to hearing. “We think it (biofuel) will help, but that must be quality-secured,” Helgesen said. He also called biofuel a “transitional product” in the private car market, as climate-minded motorists move from conventionally fueled vehicles to electric and other low-emission models. He sees more potential for biofuel within the heavy transport industry, although many of its officials don’t agree. Arild Smedsrud, an executive at Nortransport, mostly sees higher costs down the road if the government persists in mandating the blending of so much biofuel into gasoline and diesel. The Nortransport boss said he’ll feel cheated if the biofuel actually contributes to more carbon emissions instead of less. Helgesen conceded that it’s possible the biofuel plans won’t be able to be carried out, to the disappointment of forestry industry officials like Lahnstein and climate advocates like Liberal Party leader Trine Skei Grande. She has continued to claim that the state budget for this year, which included many of her party’s demands, is the most climate-friendly ever. That may not prove to be true.